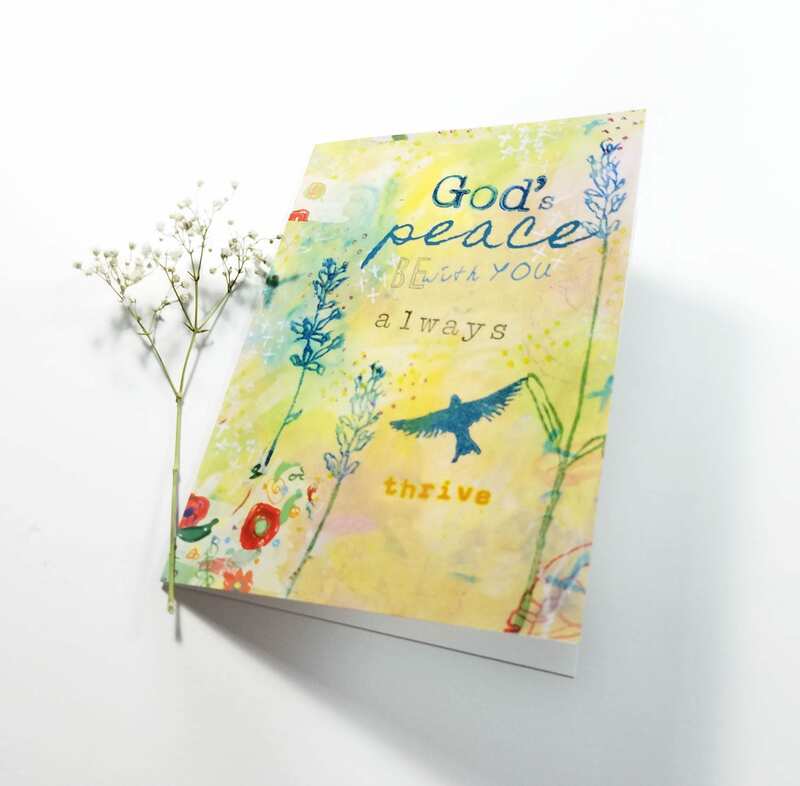 An encouraging note card, reproduction of my artwork, the note card measures 5x7 inches and comes with a white envelope. 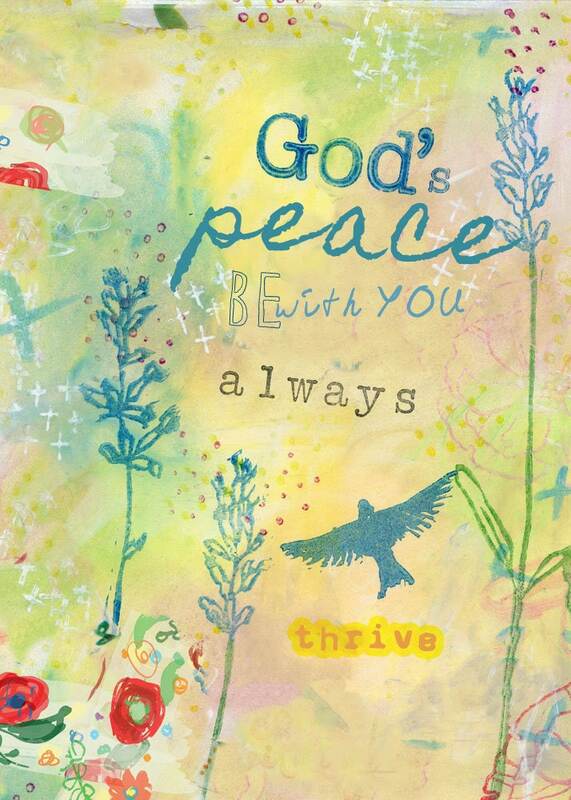 The text on the card reads: "Gods's Peace be with you always"
Blank inside. Archival print, matte finish, can also be framed. All cards are available, upon request, in larger sizes as wall prints as well.